Happy Friday, January 27th to me!! The mail man was very nice to me today. 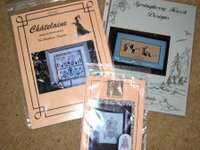 I received lots of wonderful packages from all over the world. 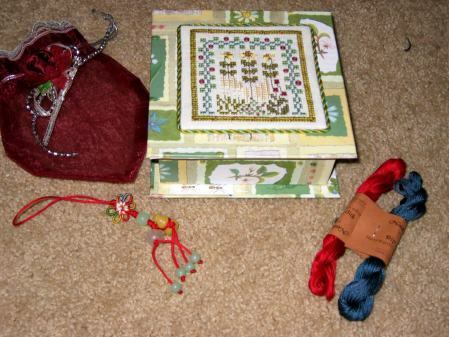 I got some stash and….both my Garden and Valentine Exchanges from Stitching Bloggers Exchange BB. Both packages were amazing. I am in awe of the talent of both ladies! 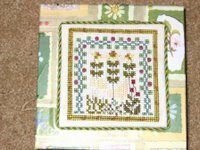 Even the upclose picture does not do justice to the gorgeous specialty stitches in this piece. Leena finished the piece into a cute little box that was full of a beautiful drawstring bag, two skeins of thread and a scissor fob. 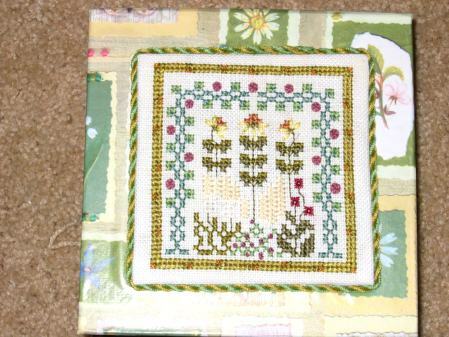 The inside of the box was also lined with cute floral fabric and contrasting cording. Unfortunately it didn’t photograph well. Thank you Leena!!! 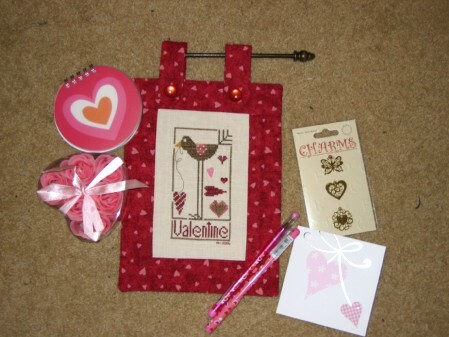 It include a lovely wall hanging by Heart in Hand, some charms, pens, notepad and box of bath flowers (they smell so good). Everything was so beautifully wrapped, it was a shame to have to open it all. Thank you, Andrea!! 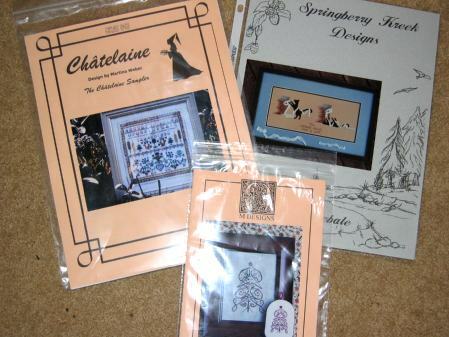 I got a Chatelaine Sampler, Ultimate Debate by Springberry Kreek and Love Tree by M Designs. There were also a few goodies that just made it in time to be packed up and mailed off with my Valentine Exchange tomorrow morning. YEAH!! That’s wonderful mail indeed, Leslie 🙂 Love your exchanges!! You are a lucky girl! They are all so beautiful. Wow! You got such great stuff! I love your Valentine’s piece. Beautiful!